Christopher is honored to join the Lehigh University Philharmonic in Bethlehem, PA, on viola for this season's concerts. 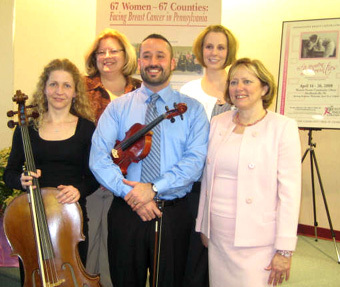 Top Row: Coalition Members Sandy Cray and Jen Fettich; Front Row: Cellist Agnieszka Rybska, Violinist Christopher Souza, and Monroe County Committee Chair Honi Grasing. 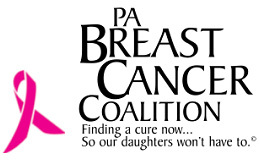 "The Pennsylvania String Ensemble was a wonderful addition to the Pennsylvania Breast Cancer Coalition's reception and exhibit of 67 Women - 67 Counties - Facing Breast Cancer in Pennsylvania. Their music, like the exhibit, celebrates life, courage, hope and dignity. 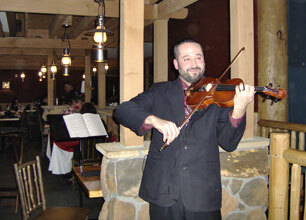 We were pleased with the selections that the Pennsylvania String Ensemble made for the event. The selections were both classical and contemporary songs skillfully performed that added an elegance to our event. Thank you, Chris and Agnieszka, for making our event extra special with your extra special talents." It was Katharine's first birthday party! 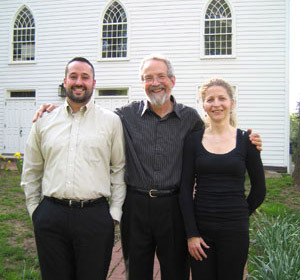 String players Chris Souza and Agnieszka Rybska joined New Vernon First Presbyterian's Director of Music, Richard Cox, in providing special music for both the church's morning worship service and an evening prayer service. The historic sanctuary in New Vernon, New Jersey, is home to a welcoming and gracious church family. "Our annual Good Friday Choral Tennebrae service is one of the most inspirational services of the church year. This year our Chancel Choir and accompanists were joined by Chris and Aggie on violin and cello which made the service even more beautiful. We thank them for once again sharing their musical talents with their friends at St. Paul's." 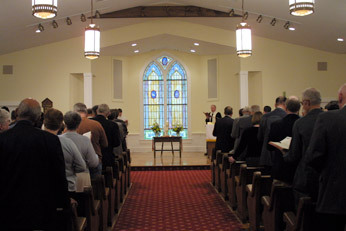 Christopher and Agnieszka of Penn Strings were honored to join the musicians of St. Paul's Lutheran Church in Tannersville, Pennsylvania, to perform music for a special service on Good Friday (April 2, 2010). 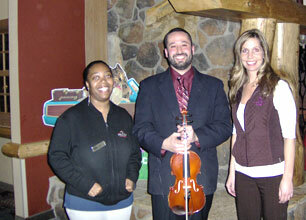 Pictured at right: Patricia Sterling, Penn Strings Violinist Christopher Souza, and Great Wolf's Director of Brand Experience Terri Klee meet fireside at the conclusion of an elegant Valentines Day Dinner for parents at the Great Wolf Lodge in Scotrun, PA. 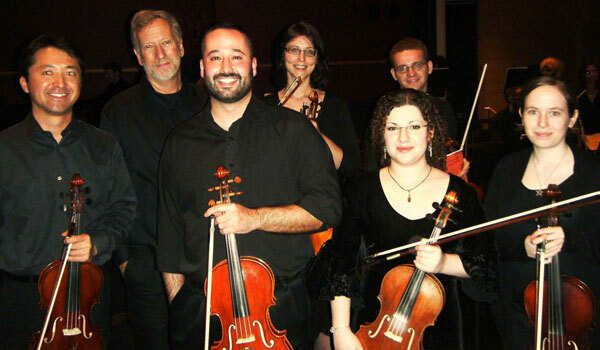 The music of the Pennsylvania String Ensemble is the perfect match for any holiday event, dinner party, or corporate function. Great job! Absolutely fantastic, as usual. You can tell a true performer when the music still moves them; each time I see you play I can tell the heart that you have for your music. It was truly a pleasure." 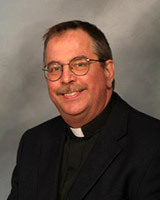 I would like to thank you for warming up one of the coldest Sunday evening Vesper services we have had. Despite the cold temperatures and football playoffs, your reputation for beautiful music brought a crowd and more than lived up to its name. Your professionalism, enthusiasm, and quality of music was a true delight to all who attended. It was truly the best music every heard or performed in our small church. I would recommend you to make any service, wedding, concert, reunion, picnic, become magical! Thank you again on behalf of all those at our church. You are welcome back anytime, as you are still being talked about!!" Penn Strings' Scott Besser, Agnieszka Rybska, and Christopher Souza performed Classical and Romantic Era piano trios for the January Vespers Service at the Mountainhome United Methodist Church in Mountainhome, Pennsylvania. "Chris Souza! His talent is 'top shelf.' 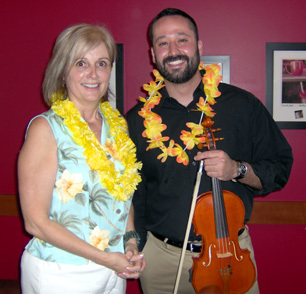 Chris was our violinist at several cruise events including ship tours for Holland America and Royal Caribbean Cruise Lines. I would highly recommend him." 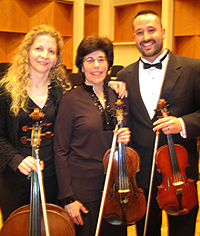 Agnieszka and Chris are pictured with East Stroudsburg University Music Department Chair Dr. Betsy Buzzelli-Clarke, who joins the Pennsylvania String Ensemble on both viola and piano. The members of Penn Strings accompanied the East Stroudsburg University Concert Choir in a performance of J. S. Bach's Magnificat. Congratulations, Betsy, for defending your thesis and completing your Doctoral Degree! I have been receiving many positive comments and reviews concerning the concert - thanks to all of you who were the performers. It was indeed a privilege and an honor to be standing in front of each and everyone of you directing so many wonderfully gifted, talented individuals in a concert for such a worthwhile cause. What a tremendous, absolutely awesome feeling! Everyone gave it their all and it was a great success because of all of you. Everyone should be very proud of their efforts. I am most humbled and extremely proud of each and every one of you. All of your hard work and efforts paid off. Not only was the concert a tremendous success, but so was the fundraiser. We raised $855 beyond our goal. Thank you again for all of your efforts. Thanks so very, very much." 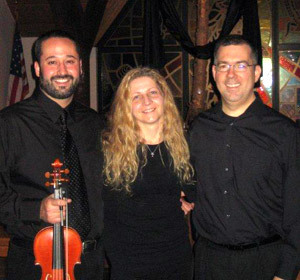 Christopher and Agnieszka of Penn Strings had the pleasure of performing a benefit concert in conjunction with Thrivent Financial for Lutherans. The money raised at the "Kids Agains Hunger" concert will benefit local families in need, as well as families affected by recent earthquakes in Haiti and Chile. On behalf of the World Traveler's Club of Wilson Area High School, we would like to thank you for your generous donation of musicians to play the violin, cello, and guitar during our event. It was a success! Your participaton was greatly appreciated. 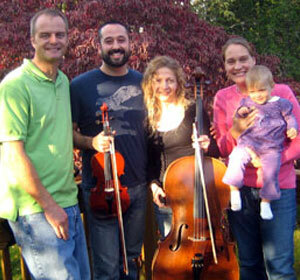 Penn Strings performed at the Club at Morgan Hill in Easton, Pennsylvania, for a wine tasting benefit. 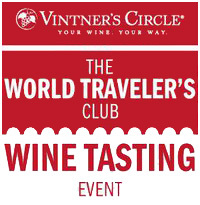 The proceeds from this fundraising event were given to the students of the World Travelers Club.